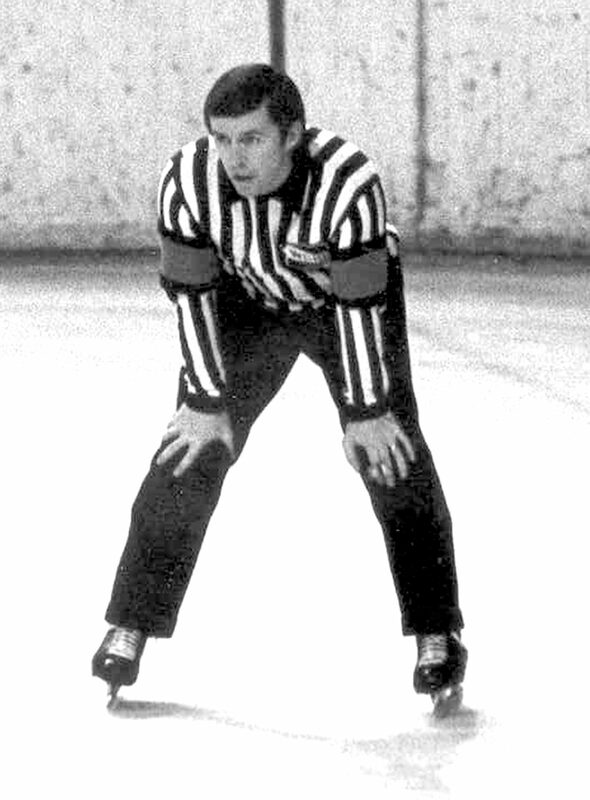 After his junior career with the Winnipeg Monarchs ended, Bud Ulrich started refereeing in the Greater Winnipeg Minor Hockey Association in 1961. He worked all levels and later spent two years as a division referee-in-chief. Combining a strong knowledge of the rules with a sense for the game, he soon moved up through the officiating ranks in the province working in the Manitoba junior and senior leagues, GPAC university hockey and MAHA intermediate playoffs. When the Western Canada Junior Hockey League came to Winnipeg in 1967-68, Ulrich started refereeing Winnipeg Jets home games. He became a head referee for the league and for nearly a decade travelled across Western Canada working games in league centres. He also officiated in Memorial Cup playdowns and in 1974-75 was selected as Canada's referee for the World Junior Championship working games in Minneapolis and Winnipeg. He also became a head referee in the Canadian Football League.